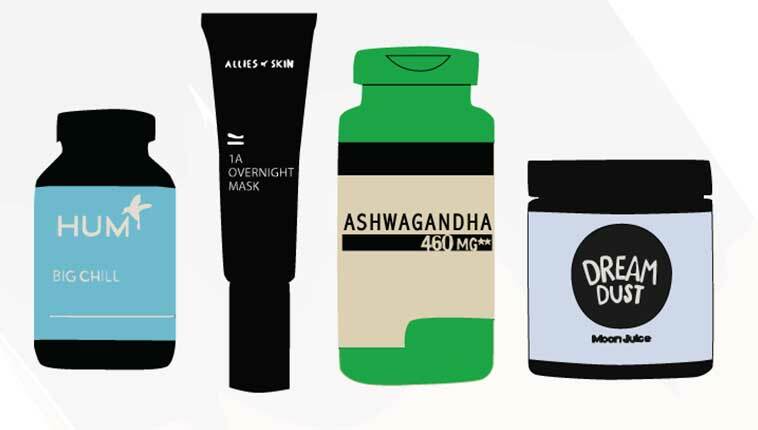 We all have a list of skincare sins: those bad habits we’ve been trying to break for years. All of us except professional, licensed estheticians, that is. They’re always following the rules, right? Wrong. Celebrity esthetician Renée Rouleau—who opened her first skincare spa at 21 and works with clients like Emmy Rossum, Demi Lovato, and Emma Roberts—divulges her past skincare sins, plus the rules she’ll never break (barely ever). With 25 years of hands-on experience as an esthetician, I’m well-versed in the tricks of the trade. I have advice on everything from how often you should wash your face to how to get rid of blackheads. However, like many people, I do have a history of skin habits I’m not so proud of. These days, I try my best to lead by example because my profession demands it and because it’s what’s best for my skin in the long run. Read on to find out about my skincare secrets, my past sins, and what I do and use now to ensure my skin is at the top of its game. During high school in the late ’80s, I worked at a drugstore that sold tabletop suntan lamps. Since I was always trying to get away from being so ghostly pale, I gladly embraced the lamp in hopes of getting a deep, dark tan. Did you know that it’s possible to get a severe sunburn and painful, oozing blisters from a lamp? Well, it is, and I have. Ouch. I smoked cigarettes as a teenager, but I gave them up for a New Year’s resolution one year and never touched them again. When I go back to France to visit my husband’s family, I’m around a lot of smokers, but I have no interest in lighting up. My skin can definitely thank me for that! Did you know that a smoker’s skin can appear slightly gray because capillaries are dying and closing off, which reduces blood supply and oxygen? They tend to have increased blackheads and enlarged pores that appear on the tops of the cheeks, sides of the nose, and upper lip and forehead (areas where the smoke accumulates). Smokers will also experience increased wrinkling, especially on the cheeks and mouth, and under-eye puffiness from collagen damage. Even without other serious health implications, the physical effects should be enough to get anyone to quit. I used to be a terrible picker. I’ve always said that I went into this profession so I could actually get paid to do what I love—picking! I justified my own problem by saying, “I’m licensed. I know what I’m doing.” Fortunately, I finally had the self-discipline to give it up (another New Year’s resolution). Picking leads to terrible scarring and it only makes blemishes worse. After all, what’s easier to cover up with concealer: a closed, small bump or an open, scabby, oozing wound? It’s your choice. 4. Not getting regular professional treatments. I recommend people get monthly facials, but with my busy travel schedule and running a growing skincare company, sometimes I just can’t make it happen. I don’t always have the “me time” I want, but if I skip a professional facial, I make sure to do a mini-facial at home with an exfoliating peel and mask. 5. Not protecting my hands from the sun! I have to admit that I’m not always good at remembering to put sunscreen on the tops of my hands before driving, even though they’re exposed to the same damaging UV rays as my face. Wearing sun protection is essential for all exposed areas, since the number one cause of premature skin aging (wrinkles, rough texture, brown spots) is unprotected sun exposure. 1. Avoid sunlight on airplanes. Whenever I travel, I always book a window seat so I can control the shade by closing it. Did you know that when you’re in an airplane, you may be exposed to the same amount of harmful UV rays as you would be in a tanning bed for 20 minutes? This harmful radiation is responsible for damage to cell DNA, which leads to premature wrinkles and brown spots. 2. Use (and reapply) sunscreen! I apply and reapply sunscreen on my face, neck, and sides of my neck 365 days a year, rain or shine. I follow my Weightless Protection SPF 30 moisturizer with a dusting of an SPF-infused mineral powder for extra protection and easy reapplication throughout the day. Healthy skin has good blood flow. To achieve this, I hang my head upside-down for three minutes per day. This can be done up against a wall, during a downward dog pose in yoga, or simply by hanging your head over the side of your bed. After three minutes, a slight redness appears on my skin. In the long run, it can make a big difference in getting (and keeping) my inner glow and looking lit from within. The reason this works is because blood carries all of the oxygen and nutrients to feed the cells both in our skin and body. Arterial, venous, capillary, and pulmonary systems are all avenues through which blood circulates. When capillaries are dilated, the uptake of oxygen and blood increases, ultimately causing the glow. 4. Limit dairy intake. Yes, that means cheese. Although there isn’t much scientific evidence to back it up, I’ve found that dairy causes me to break out in cystic acne. Many, many of my clients have also come to the same conclusion over the years. As much as I adore cheese, especially on my yearly trips to France to see family, I’ve learned to limit my dairy intake because too much will cause me to break out. Keeping dairy to a minimum (plus using Anti-Cyst Treatment when I flare up) has helped my skin tremendously. Aside from sunscreen, retinol is considered to be one of the most effective ingredients for making pores look smaller and smoothing the skin. I can’t live without my stable, time-released Advanced Resurfacing Serum, which contains pure retinol. More than any other product I’ve ever used, it has improved the clarity and texture of my skin. I’m a huge fan of using an alcohol-free toner after cleansing to remove drying chlorine, salts, and minerals found in tap water. I leave the toner damp on my skin before applying my serum and moisturizer, and it helps give my thirsty skin cells an instant boost of moisture. Additionally, leaving it damp causes the skin to be more permeable, so the performance ingredients in my serum can work more effectively. From my line, I use Elderberry Toner. Exfoliation is the key to solving most skin woes—reducing and preventing breakouts, fading post-breakout marks, clearing clogged pores, and giving a glow. When I’m in a rush and need my skin to look smooth, there’s nothing like using a gentle facial scrub (like Mint Buffing Beads) for an instant glow. I always use round, natural jojoba beads, as they are gentle and better for the environment. When I have a little more time (and as part of my at-home mini facial), I apply Triple Berry Smoothing Peel and leave it on for 10 minutes. It’s guaranteed to remove dead skin cells, soften lines and wrinkles, and make the skin look flawless under makeup. There you have it. My past skincare sins, some of my present-day rules to live by, and a few of my favorite products. Don’t forget: no matter what you’ve done to it in the past, it’s never too late to start caring for your skin. Here’s the perfect self-tanner for people who are terrified for self-tanner (Bonus: it has a ton of skin benefits!). Plus, why dirty skin is good for you. Renée Rouleau is a trusted and sought-after skin care expert and esthetician loved by celebrities, editors and facial obsessives everywhere. Her proprietary classification system for her exclusive skin care line addresses 9 distinct skin types and contains more than 70 products that blend the best of nature and science. Celebrity clients include Demi Lovato, Emmy Rossum and Emma Roberts.